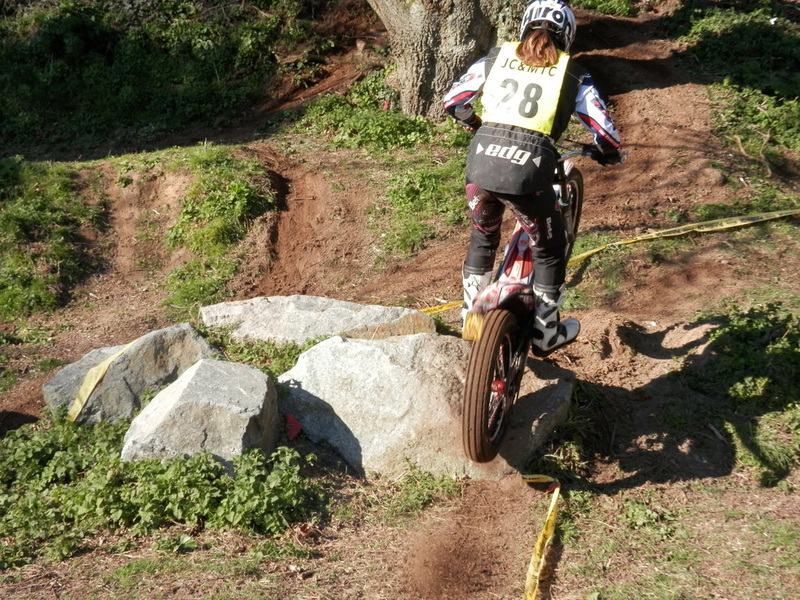 Here are some pictures of Becky Cook entering and riding the last section of the day . I had only seen Becky ride a few times. 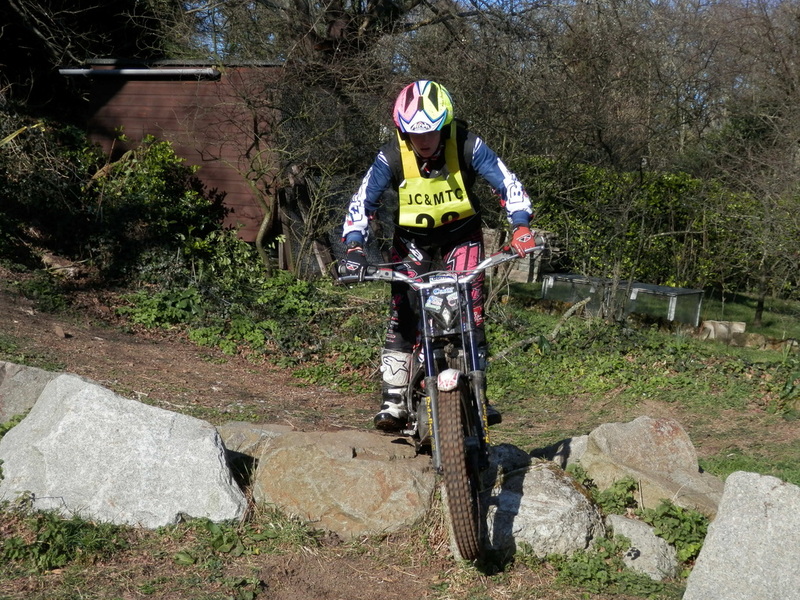 Becky has the rock solid, smooth and stable footing that you only see in the top riders. I noticed this immediately as soon she rode into an earlier section. What I mean to say , is that she doesn't appear to be anywhere near dabbing. No swaying ,sticking her foot out or fighting for balance or grip. 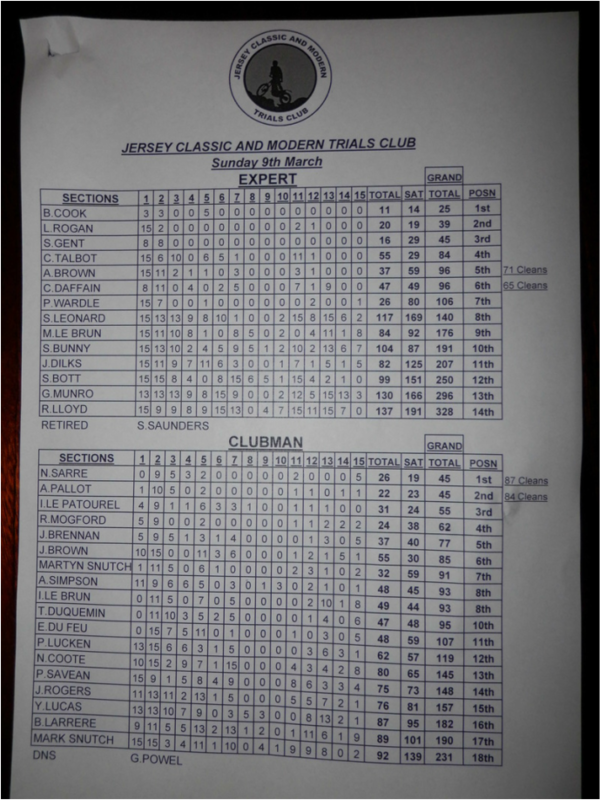 Some of the Jersey expert sections were pretty nasty and you needed to be proper confident to succeed in them. Becky rode them like she was on rails proving that she's so so so much better and can mix it and beat all but the very top riders. Graham du Feu handles the colossal Ariel like its a GasGas. He actually won the B route and beat everyone on their fancy dangled 65KG bikes. Simply amazing. 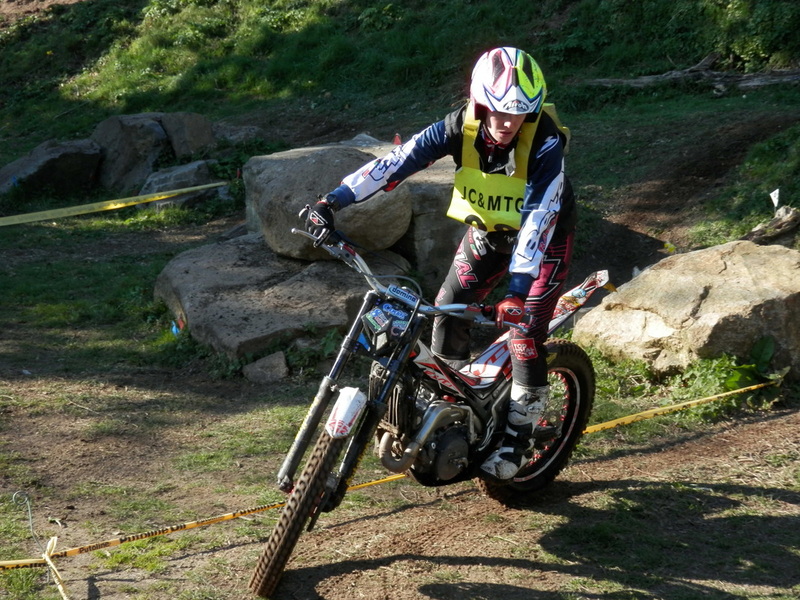 The Jotagas 300 performed brilliantly. 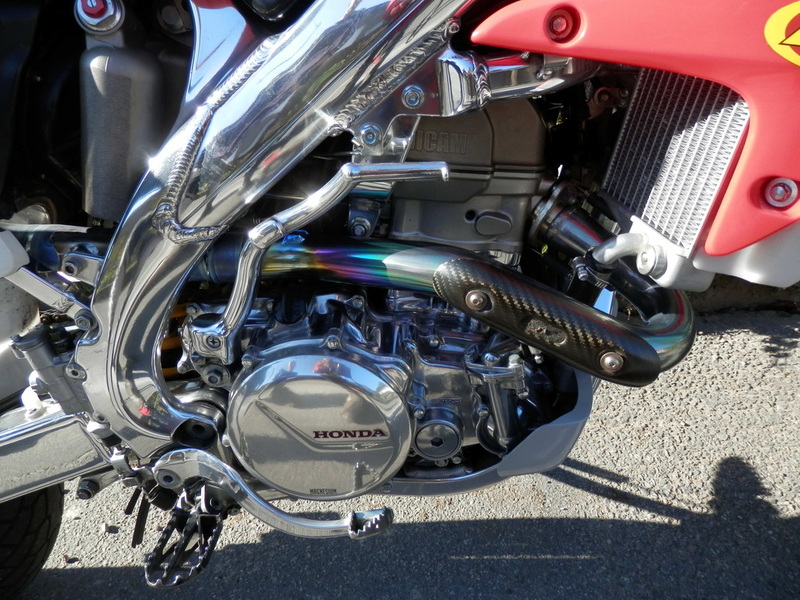 The smaller rear sprocket helped with extra speed on the roads although the speed limit in Jersey is only 40MPH. It only made a small difference and I didnt really feel it in the sections. I had no problems with the bike at all. 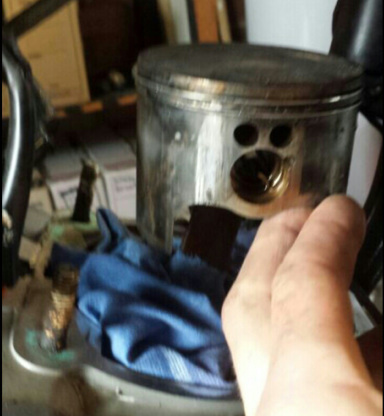 I would prefer the fuel tank hole to be bigger. You really have to keep an eye on things to make sure the petrol doesn't over flow flow over the nice decals. Maintenance wise at the trial , all I did was adjust the chain once and oil it every time I refueled. Instead of having all of the compression and rebound completely wound fully off , I wound them both on about one third just to smooth things out a little and slow the rebound down. 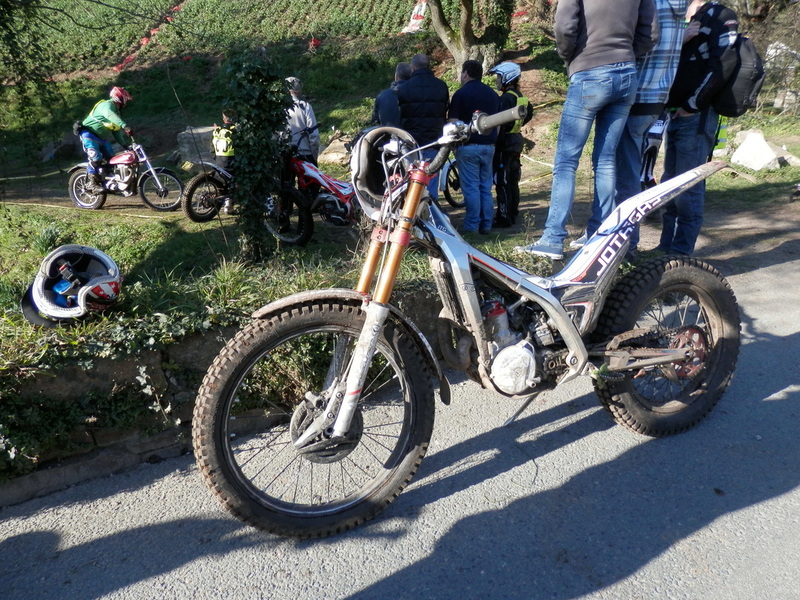 I can honestly say , if I put my feet down this weekend , it wasnt the bikes fault. After id finished this last section and getting one of my few cleans of the day. I sat back and enjoyed watching a few other riders through. It had been a really great trial and well well worth the effort to get out here. They even organised to carry all the younger riders around in vans as they werent allowed to ride on the road. Parked up ,watching the last section opposite the Quarry car park and start area. Whilst I was parked up , this little beauty came to have a look at the trial. 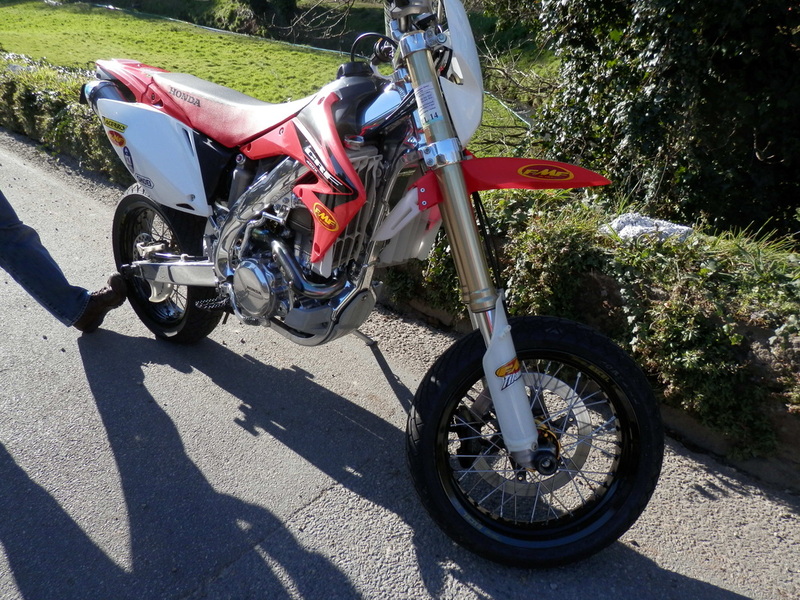 A Honda CRF 450 in super moto guise. Just look at the high shine he has on the bike. The rider was telling us that he enjoyed polishing it. That is just as well. Imagine getting caught out in a rain storm . Martyn Snutch would say "That would break your heart " ha ha . All of the local and over seas riders were encouraged to come along to the Shakespeares hotel for the awards evening on Sunday night. It was a very good turn out with about 100 people there. Craig and I stood at the back with our pints of beer in hand. Confident of NOT getting a trophy I had resorted to cuddling my pints of cider and then beer and imagining it was a trophy. Craig however was easing back on the drinks and keeping a clear head rehearsing his important post award speech ;) or his excuses for not paying me out on the bet :). Here are two pages of the results that I managed to set my eyes on. It shows Becky was well ahead. L Rogan was a local lad and clearly a very good rider as well. Craig came in at 6th place and was only kept from 5th place by the most cleans. He had a storming ride and should be very happy with his final position. He was very happy......apart from one thing....handing over the five pounds he owed me for not beating Becky ha ha . Come on ...we all know the moment !! :) . Its the moment that they are handing out the awards and you think you rode badly but you also think that there just may just be a slight chance of you getting a little piece of silver to take home and show the other half , when your telling her your war stories. Well let me tell you......I do not know that moment. I am a not used to getting trophies and I'm used to being half way or three quarters down the results ha ha . Sooooo , it was a big surprise when my name was called out along with Tim Britton and Craig Daffin. We had won the best team award. Yipeeee !! So , chuffed to bits with our trophies we head back to the bar to chew the cud and enjoy the rest of the evening. 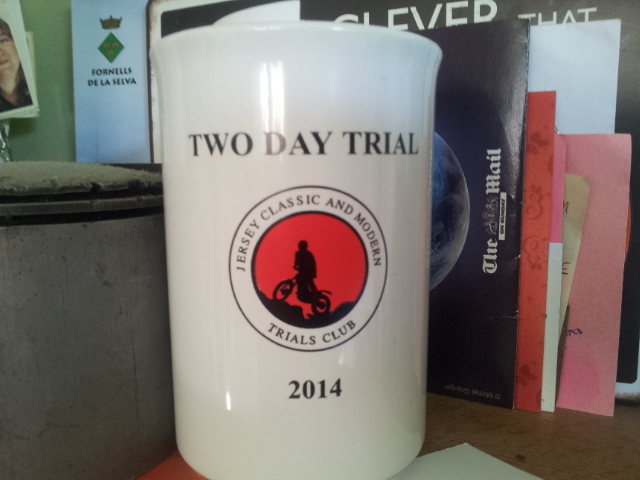 It was nice to meet such a nice bunch of Trials folk. For me the quote of the weekend that ill remember is when i was chatting to Martyn Snutch. We would chat about the trial and particular sections and when we spoke about going the wrong way or having a slack 5 he would always say "That would break your heart wouldnt it". Ha ha . That made me laugh. Its so true and sums it up well. What happened to craigs bike ? Well , take a look at the state of it .